Vision Software introduces its unique cloud-based food service management software with this bold new animated video by DDA. Vision Software Technology produces and maintains software that optimized food service workflows in coordination with critical diet office information. 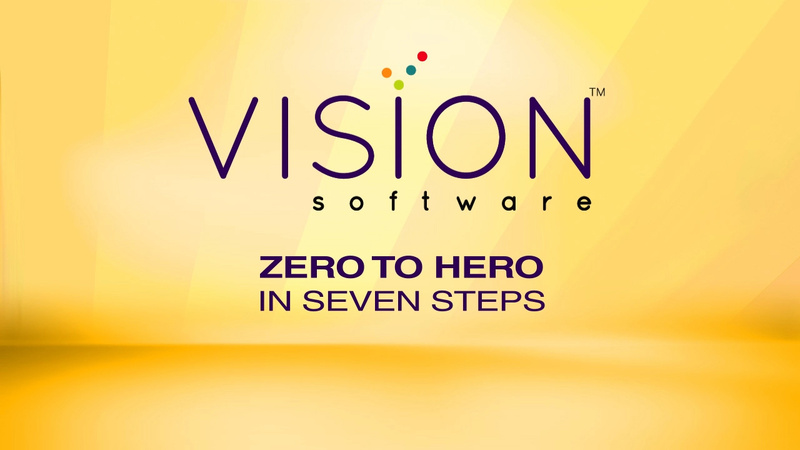 Used primarily to maintain strict dietary control in hospitals and other health-related institutions, Vision Software was one of only three major competitors offering solutions of this level of sophistication. Furthermore, its unique SaaS (software-as-a-service) business model offered a wide range of advantages over its competitors who distributed software on a more traditional model. Despite the unique advantages of their SaaS approach and its continual history of technological innovation, many in the industry still remained unaware of what they had to offer, and they continued to struggle for market share. After an initial conversation and research into Vision Software's original approach to food service management, it was decided that the best way to promote the brand further was to develop a new service video that could be used for both online and trade show audiences. Vision Software was particularly impressed with the original approach and powerful aesthetics of DDA's own promotional video DDA in 60 Seconds and wanted to leverage a similar aesthetic, with copious use of rich animation, for their own. To ensure that every scene and every word counted, DDA's professional writers would author the script and from there DDA's videographers would develop the basic design of the video and a storyboard to illustrate the progression of the animated video. After coming to a solid understanding of Vision Software's unique selling propositions, DDA determined that the best way to communicate the value that the company offered to its clients was an escalating numbers motif, with seven major selling points being demarcated throughout the video. This concept helped keep the information conveyed succinct, easy to understand, and easy to remember. Some of the strengths emphasized by Vision Software's SaaS solution for food service management described in the DDA-authored script included: zero start-up costs, regular automated updates to the cloud-based solution, ease of use, continual support for and evolution of the software, and optimized efficiency of food service across multiple departments. Each concept was described in the narration in such a way as to transform the number of that concept to a symbol of what it represented, creating further semantic linking between the bold, numerical visuals used to introduce each step and the selling point that it represented. The video starts with a look at the Vision Software logo, with the dots of the checkmark on the logo animating and flying from left to right and back and forth to capture interest at every moment. DDA also kept engagement high by using dramatic sweeping motions for the introduction and exit of every on-screen text. Conceptual symbols associated with each numerical step were portrayed visually to further reinforce the voice-over narration. DDA provided its casting services for the voice-over talent from DDA Video's own Actors' Network of approximately 60 professional actors. The video also utilized a bold, bright, golden simulated 3D environment to give a sense of depth to the motion of all elements in the screen, which was reinforced by appropriate shadowing. The final run time came in at 1:46, allowing for the perfect balance of depth of information with the convenience of a fast first impression that has so often helped DDA itself engage with new prospective clients. The video ends with a powerful silhouetted image of a group of superheroes and a call to action to make first contact with the company. The final video, with its bold colors, simple, direct language, fast pace, eye-catching environment, and lively animation was very well received by the client, who quickly integrated the video onto their homepage and YouTube channel where it was prominently featured and is sure to spark interest in those seeking their unique solution to food service management.